Not food that is disgusting but the food that I ate whilst running the 70 mile Grim Reaper race a fortnight ago! After nutrition was my downfall at both the Conti 12 hour run and Shires and Spires 35m races earlier in the year I knew I had to buck my ideas up if I wanted to complete the 70 mile challenge I’d set for myself on August 1st. 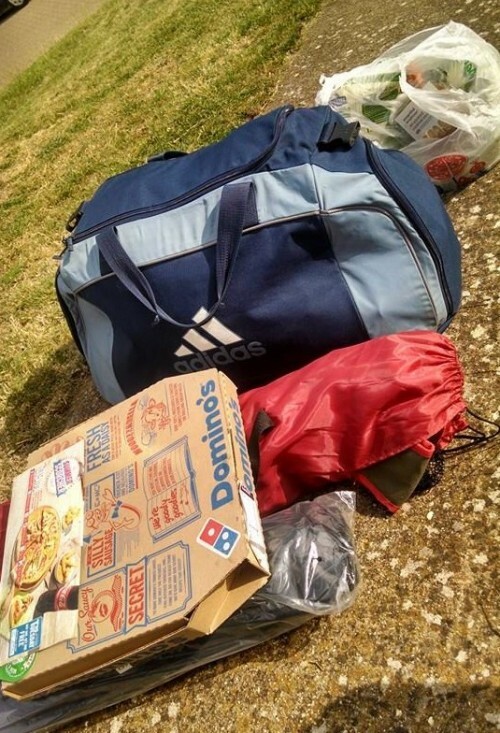 Last year when I had gone to support our club runners at the Grim, one of the runners had his wife bring him a Domino’s pizza 20 miles into the race. Although I hadn’t eaten pizza whilst running before and I’m not even a huge fan it is something I have always had the night before a race to give me energy for the following day. I like my pizzas to be filled with lots of different toppings and I hoped that this would make the food more appealing for me to want to eat as I always find force feeding myself 1000s of calories very boring and hard. (I’m sure this would be every teenage boy’s dream…!) I covered the pizza with a light sprinkling of salt as well. I only discovered these by chance about a week before the race but fell in love with them immediately and went back to buy four boxes of four the following day! I love that they are made of only four ingredients (dates, cashews, raisins and cocoa) and are suitable for vegans, those with dairy free or gluten free diets. I don’t like any of the four ingredients individually, but mixed together in a bar and ‘smooshed together’ they are amazing! I had one nakd bar each ten mile lap and on a couple of laps I placed an extra bar in my belt to enjoy half way round the course. Because they are quite soft bars they were much easier to get down than the flapjacks I struggled so much with at the Conti run in May. I picked up a large carton of chocolate milk (not to be confused with chocolate milkshake!) at Waitrose on the way to the campsite. Initially I intended on using it as a recovery drink after the race but I soon discovered that when it was hot and my body was insisting it did not want solid foods, I could wash the now cardboard-tasting pizza down with some chocolate milk, which I could still taste quite strongly. I rang Dan during my fourth lap and pleaded with him to bring some more on his way to see me at 40 miles. Thankfully he did (not sure we’d be married now otherwise!) and I was very grateful to see him bearing three more cartons of milk along with two bags of oranges when I reached the campsite again. 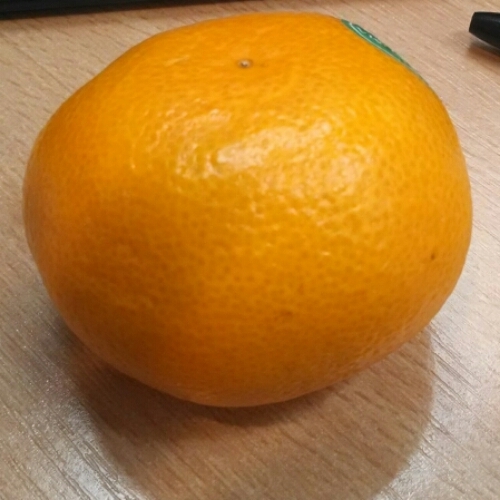 I seriously underestimated how amazing oranges could be on a run before trying them at Grim. I read about orange segments being given out during races to runners in America all the time so when I saw a huge pile of oranges next to the standard bananas at the feeding station at mile 20 I thought I’d see what all the fuss was about! I was definitely glad I picked one up and every lap from then to the end saw me munch through two oranges. They were so zesty and strong in taste, yet still so refreshing and juicy… I would have had many more than two per lap had I been able to carry them! I didn’t actually take grapes with me but instead took some of a teammate’s when offered them. I would have had more had I taken my own supply as I found them as refreshing as the oranges had been. I thought these would go down easily being relatively small and easy to carry. I had a handful at mile 10 but after that I just didn’t fancy them any more so they were enjoyed by Dan the following day instead! Although not actually food, these also played a large part in ensuring that I got round still feeling strong. You can read more about my hydration in my nuun post from earlier this week. In total I burnt off somewhere in the region of 8500-9000 calories during the race. I say ‘approximately’ as each lap I ran recorded as 10.1 miles for me and my watch tells me I tend to burn off 127 calories per mile. I didn’t eat anywhere near that many calories back but with 6 slices of pizza, nearly two cartons of chocolate milk, 8 oranges, 8 nakd bars, a handful of grapes and some cocktail sausages in natural casings made from hog intestines think I took on somewhere in the region of more than half of the 9000 calories burnt. I’ve actually heard stories of ultra runners getting mouth ulcers before because of how much food they have to take on during races! I haven’t counted calories in a long while but knew I would need to be more sensible this time round when taking on such a distance and my body no longer wanting to eat after the first couple of laps. At the Conti run, where I severely under fuelled I lost 10lbs during the race. During Grim, I lost just 1.5lbs and felt much better for it. No dizzy or weak feelings at all. Just emotional tears and happiness as I crossed the finish instead! Do you keep an eye on calorie intake when you are expelling more energy during workouts? Mmm oranges sound like a fab idea. They always used to have them at half time in football matches, must be something to it. At Stockholm one station was a gherkin station, and although I like them I could not imagine having one whilst running! I keep an eye on my calorie intake, although I am trying to relax a bit- I used to track it all on a website, but it vastly overestimated the calories I used when running (I think it estimated 100cals per mile, but in reality it is way less than that) so didn’t help in the end. I do struggle with refuelling after though- when I was marathon training I would not feel hungry, and then would force down a small lunch, only to have an energy crash in the afternoon which left me craving sugary things to get the energy up again. Half marathon training is OK, but anything over that and I will need to learn how to refuel better. A gherkin station?! How random! I love gherkins, but like you, I’m not sure I would like one during a race! I think it is so easy to over estimate or under estimate calories burnt and calories consumed, and although it is wise to keep a rough guide in mind, it is virtually impossible to track precisely how many calories you require. It is so difficult to eat after long runs. I’m learning, but still struggle when the weather is hotter. Sounds like you were well prepared. Oranges are the best during races, I had a segment during my ultra in may and it tasted like the best thing ever. Glad you liked the nakd bars. I discovered salted almonds worked really well for me too. 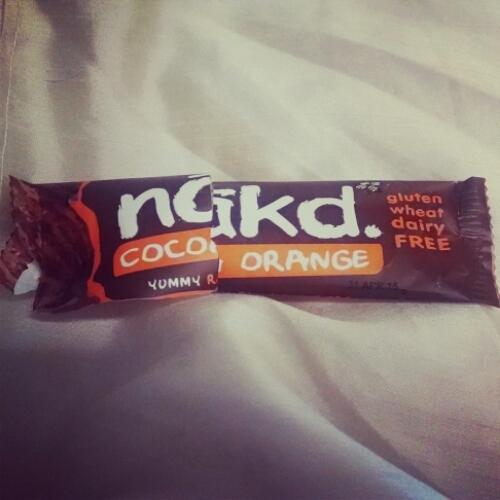 I LOVE the nakd bars. Literally can’t get enough of them! I haven’t worked out what I’m going to do for fuel for my marathon. I know it’s hardly an ultra and I probably don’t even need anything really except maybe a gel or a handful of sweets but I do want something. In Paris I had three gels and it made me feel so sick. So I’ve bought some baby food (like mango puree, and sweet potato puree) but I haven’t tried it out yet. I tend not to use fuel when I’m training but I’m going to have to test it. I love that you brought a Dominoes. Such a good idea. I’d have probably got a really nice decadent one from M&S and I detest Dominoes (far too many when I was younger) but that’s because I’m a pizza snob haha. That is CRAZY that you lost so much weight at Conti. Incredible! If I do a long run I tend to balance it out with a good slab of cake. I weigh myself maybe once a week and I just stay the same most of the time so I must be doing something right! Baby food was recommended to me by several longer distance runners. It’s easy to get down and much less sickly than gels.